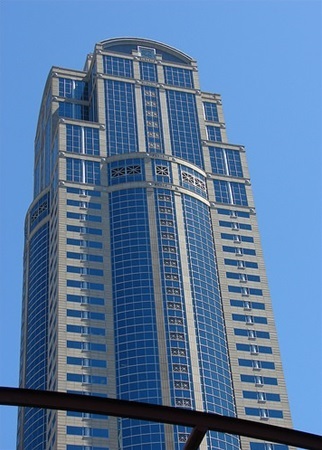 1201 3rd Avenue Building, Seattle, WA is a 57-story office tower constructed in 1987. 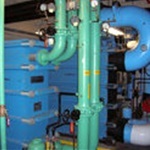 The building was constructed with a primary chilled water system and an auxiliary condenser water system. 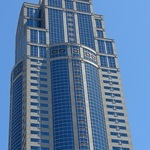 The auxiliary system is a dedicated system serving 1201 and Brooklyn Building retail, tenant comfort and data cooling. 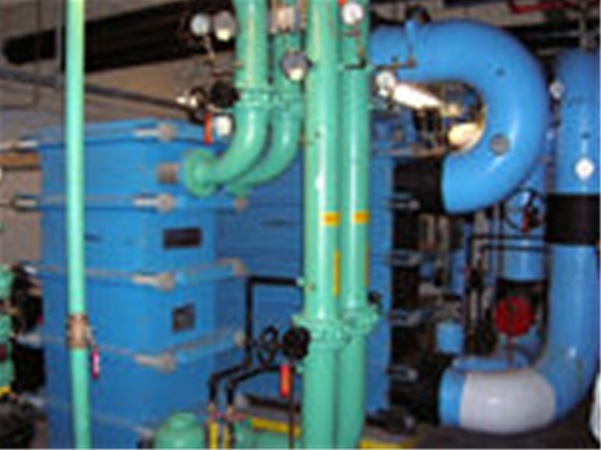 Due to contemporary tenant usages, demand on the auxiliary cooling water loop has exceeded the system’s heat rejection capacity. 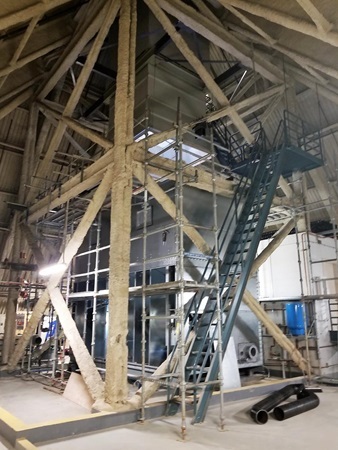 This project consisted of increasing the capacity of the auxiliary loop system by 30% due to increase in building cooling loads. 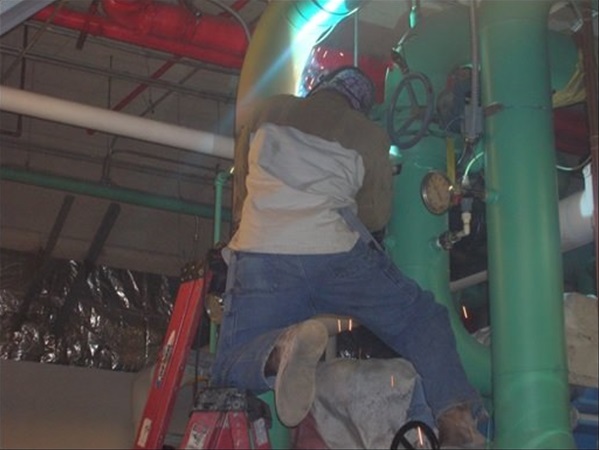 Construction was performed during mild weather season and employed redundant backup heat exchange system constructed in 2009 by our team to reject the auxiliary loop heat to the chilled water condenser water loop on Floor 35. 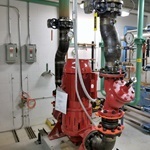 Replacing closed loop N+1 pumps located on Floor 33 with new larger pumps to maximize flow within feet per second limitations of existing piping. 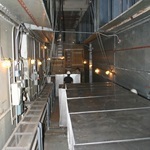 Adding plates to the plate & frame heat exchangers located on Floors 33 & 56. 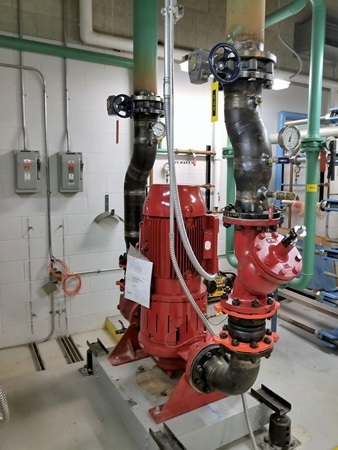 Replacing open & closed loop N+1 pumps located on Floor 55 with new larger pumps to maximize flow within feet per second limitations of existing piping. 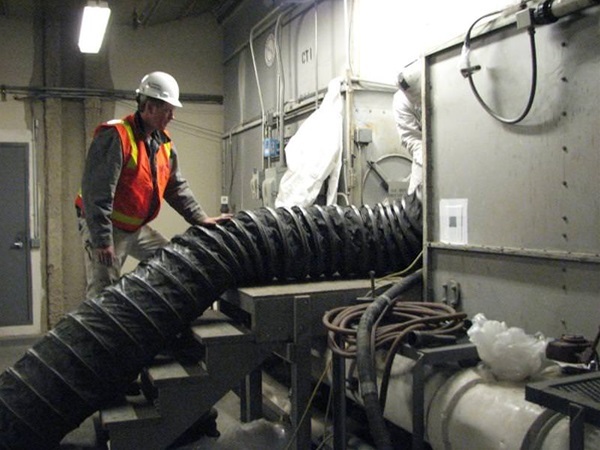 Demo of existing and field erecting (2) cooling towers located on Floor 57 to effectively reject 30% additional heat from the auxiliary loop system. 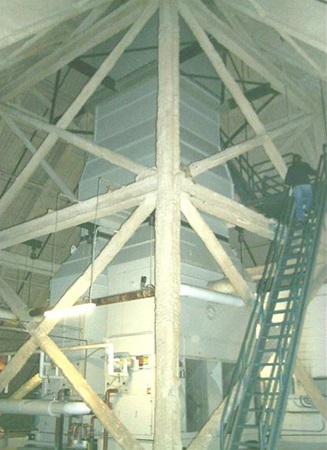 The selected cooling towers used less fan HP and reduced static pressure resulting in operational energy savings in addition to the capacity increase. 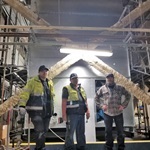 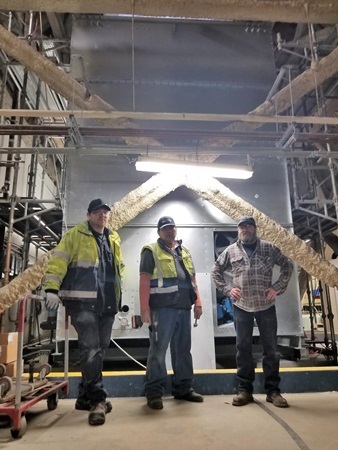 Cooling tower replacement was achieved by hand demolition of two existing tower and hand building two new cooling towers within constrained structural surroundings. 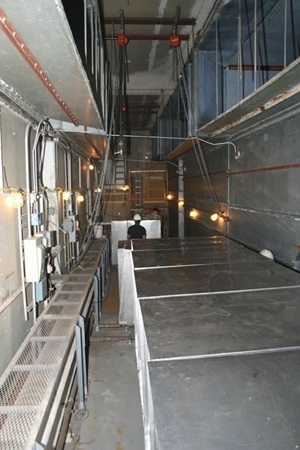 The new cooling towers were shipped knocked down and rigged to the rooftop location. 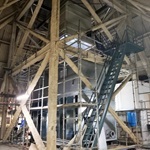 The System team hand assembled both tower systems using complex hand rigging. 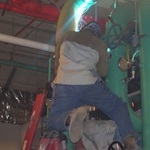 All supply and return piping 10” and 8” were pre-fabricated, rigged and assembled on site. 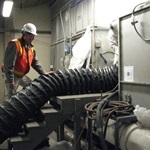 Upgrading open and closed loop pumps to variable frequency drive control. 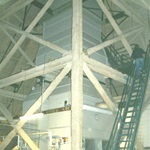 Implementing optimized sequence of operation.